We’ve just added some fantastic new resources to the Freestyle section of our Musical School programme. Other gems will be available soon! 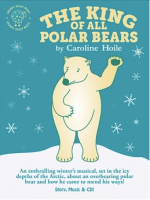 Suitable for children aged 5 to 9 years, The King Of All Polar Bears, by Caroline Hoile, is a thought-provoking (non-religious) winter musical about an overbearing polar bear and his attempts to rule the world! As well as discovering interesting facts about snowflakes, the Arctic and its fascinating wildlife, children will learn of the need to respect each other’s differences as they progress. 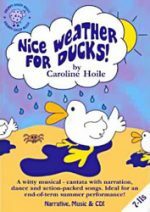 Caroline’s Nice Weather For Ducks! is a cheerful seaside musical, nostalgically celebrating the traditional pleasures of a typical summer’s day out at the beach. Full of laughter and humour, movement, dance and song, it’s perfect for children aged between 7 and 11. It’s been a privilege to work with our partner, Grumpy Sheep Music, on both resources. We hope that you’ll enjoy them too! 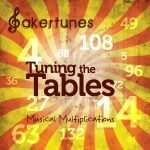 Tuning The Tables is a collection of irresistibly catchy songs that help children to learn their times tables. Charanga favourite Sarah Baker draws on 20 years’ experience of teaching primary-age children here; using music to make difficult or complex subjects more accessible, fun and memorable!